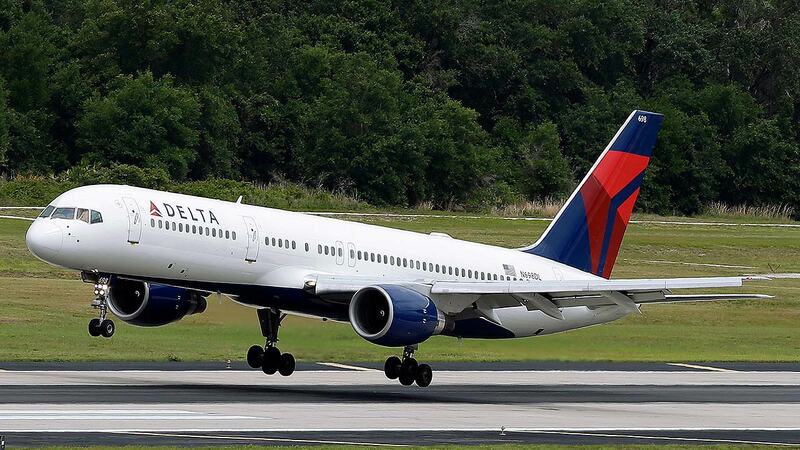 ATLANTA, GA -- When Tamika Cross tried to help another passenger in distress on a recent Delta Air Lines flight, she said she was dismissed by a flight attendant who doubted that the black woman was actually a physician. Cross, an OB-GYN based in Houston, chronicled the incident on Facebook on Oct. 9. The post has since gone viral, with more than 15,000 comments, and sparked the Twitter hashtag #whatadoctorlookslike. The incident highlights the daily slights felt by many black women because of their race and gender, despite their accomplishments. "I'm sure many of my fellow young, corporate America working women of color can all understand my frustration when I say I'm sick of being disrespected," Cross wrote in her post. Delta Air Lines said in a statement: "We are troubled by any accusations of discrimination and take them very seriously. The experience Dr. Cross has described is not reflective of Delta's culture or of the values our employees live out every day." The Atlanta-based airline said it has reached out to Cross and other passengers from the flight and is investigating the incident. The post immediately resonated with Sandra Ford, a pediatrician and director of public health in DeKalb County, Georgia. "It's infuriating," Ford said. "Medical school is your life. It takes up so much of your time, your money, your energy. To have somebody discount all of that hard work based on the fact that you're a female of color ... it's the most insulting thing." According to the Association of American Medical Colleges, blacks comprise only 4 percent of the physician workforce. But roughly two-thirds of black medical school applicants are black women, and blacks are the only racial group with a larger percentage of women than male black physicians. Black women earned 68 percent of all associate degrees awarded to black students between 2009 and 2010, 66 percent of the bachelor's degrees, 71 percent of the master's degrees and 65 percent of the doctorates. Ford is one of 2,800 female physicians of color in the Facebook group Mocha Medicine. On the page, the women doctors discuss the challenges they face. Many of the posts are about the racism and sexism they frequently experience. "I can say with almost complete certainty that there is not an African-American female doctor in this country who has not given a patient a full explanation of a process or procedure, only to have them say, 'OK, when is the doctor coming in?'" said Ford. "I am the doctor." Ford said she originally saw Cross' post in Mocha Medicine. In it, Cross recounts jumping out of her seat to help a woman screaming for help when her husband became unresponsive on a Delta Flight 945 out of Detroit. Attempts to reach Cross for an interview Friday were unsuccessful. Cross wrote that when she attempted to get the flight attendant's attention to help, she was told: "Oh no sweetie put ur hand down, we are looking for actual physicians or nurses or some type of medical personnel, we don't have time to talk to you." Cross said that moments later, upon learning that Cross was a doctor, the flight attended responded, "Oh wow you're an actual physician" before deferring to a white male doctor who came to the passenger's aid and was not questioned. Delta said three medical professionals identified themselves on the flight, and the doctor who ultimately helped the passenger showed his medical credentials. The airline said flight attendants are trained to collect information from medical volunteers offering to assist with an onboard medical emergency.